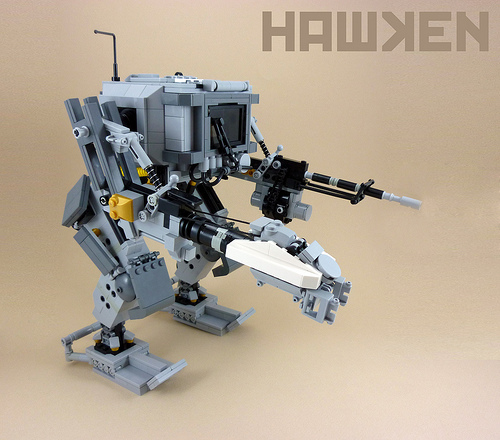 After Ma.Ktober, we’ve given mecha a bit of a rest, but this walker by Curtis Collins (curtydc) from the upcoming game Hawken is too cool to pass up. My favorite detail? Curtis found a bent LEGO antenna in his parts bin and incorporated it into his model.